Latest Update: Aug 22, 2017 – Information regarding 9th MC / WG Meeting (September 18-19, Porto, Portugal) added. 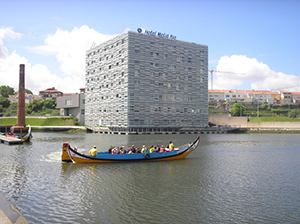 The Meliá Ria Hotel (opening in the last quarter of 2005) is in a new development of high quality in the center of Aveiro, with views of the lake formed by the river Ria de Aveiro. Located near the Cultural Center and the Congress and the train station, within walking distance of the historic city center, 7 km of beaches and 60 minutes from the airport of Porto, with easy access by highways A1, IP5 and IC1. 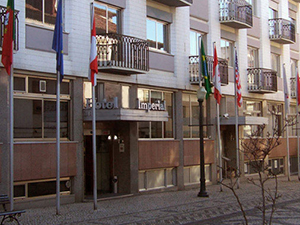 With a privilege location in the heart of the city, near the Museum of Aveiro, few minutes of the commercial center and the Tourism Office, the Imperial Hotel offers 4 single rooms, 81 double rooms and 22 suites with complete bathroom, hairdryer, air conditioning, satellite TV, Internet and mini-bar. Our guests will feel tempted to indulge on the delicious and traditional menus of the famous Imperial restaurant. The hotel offers a number of amenities, which include meeting and banquet rooms, bars and a solarium from where you can enjoy a breathtaking view of the city, river and ocean. 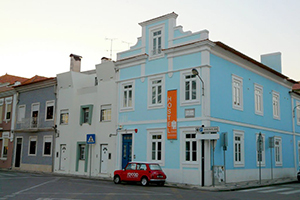 Aveiro Hostel is a centenary house located in the heart of Aveiro, where the principal touristic and cultural sports are where you can find the best bars and restaurants. At the same time, Rossio area is the best place to find the local habitants, you just need to visit the fish market open everyday morning to see some of the most amazing figures in town ….